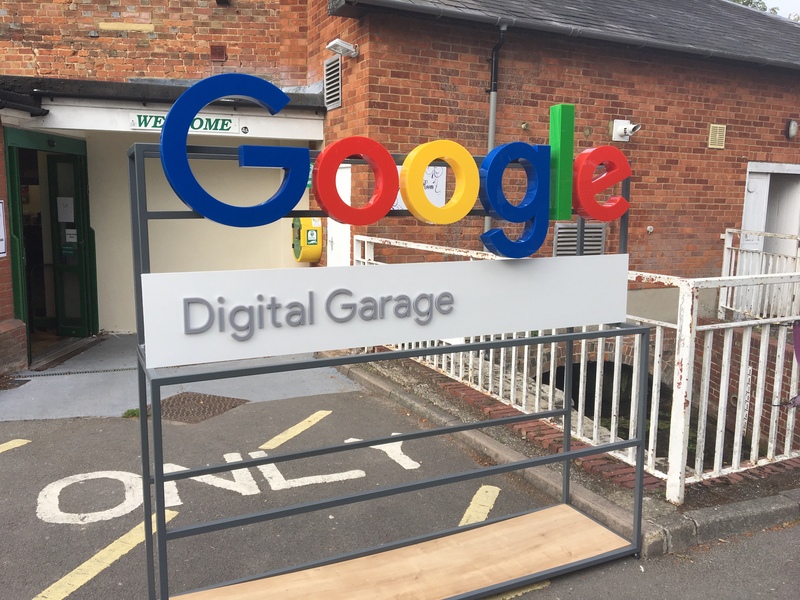 We saw a Google advert on social media about a month before we attended Google’s Digital Garage event and decided to go and see what it would be all about. Upon arrival and throughout the day there was tea and coffee going for free. The room was full with about 50-60 people inside. Google had dotted around fact boards, marketing material such as the Google sign above and so on. There were a lot of business owners there with a can-do DIY attitude and a lot of people from marketing agencies too. You also had many people there who didn’t seem too confident with what they were getting involved with but they soon learned a lot from the Google staff. Share this post with your friends, followers and connections!